Drowsy Driving Prevention Week: What are You Doing to Prevent It? During the first week of November, the National Sleep Foundation hosts Drowsy Driving Prevention Week. The purpose of this week is to bring awareness to the growing problem of drowsy driving – and the dangers of getting behind the wheel without adequate sleep each night. While you might think having an extra cup of coffee in the morning will combat drowsy feelings while operating a vehicle, coffee is not a complete solution. Instead, you can do things to improve your alertness while driving, but also ensure that you get enough sleep every night. Drowsy driving is becoming a safety hazard for the country. In fact, an estimated one out of 25 adults have fallen asleep at the wheel in the past 30 days. 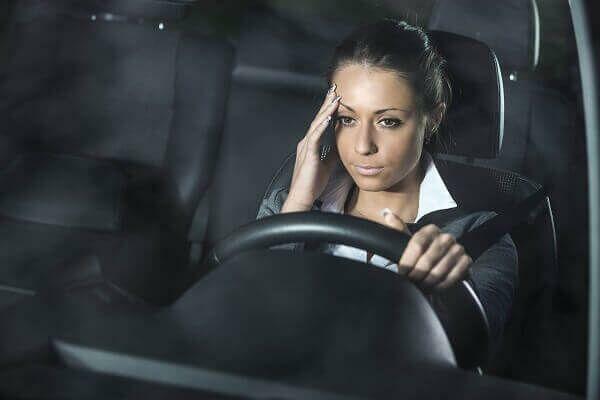 More so, the Centers for Disease Control and Prevention estimate that drowsy driving caused 72,000 accidents and took more than 800 lives in 2013 alone. Lack of Sleep – Anyone that does not get the recommended 7 to 8 hours of sleep each night is at high-risk for drowsy driving. Sleep is what helps your brain regenerate and recharge. When you do not get enough sleep, your brain has a slower reaction time, and you could fall asleep at the wheel without even knowing it. Shift Workers – If you work the graveyard shift or work longer shifts than the standard eight hours, you are also at high risk. Working overnight and sleeping during the day disrupts the body’s natural sleep-wake cycles, which eventually leads to drowsiness when you need to be alert. Sleep Disorders – Sleep disorders, such as insomnia or sleep apnea, affect not only how much sleep you get each night, but the quality of that sleep. If you notice these signs, pull over and rest. Get out of the car, get some fresh air, and rejuvenate before getting back behind the wheel. Also, do your best to get as much sleep at night as possible – at least 7 to 8 hours. You can drink caffeine, but do not rely on caffeine alone to make you alert enough to operate a vehicle safely. If you are going to be on the road for several hours, take a pre-drive nap so that you are refreshed. For longer road trips, consider bringing along a buddy. Having someone in the car can not only help keep you alert, you can take turns driving and sleeping – or at least resting. If you or a loved one was injured in an accident with a drowsy driver, you may qualify for compensation. Drowsy driving is negligent driving, and the law allows victims to recover damages from negligent drivers. To explore your options or to see if you have a case, contact the car accident lawyers from Van Sant Law. We understand what you and your family are going through, and we are here to help you receive compensation for your medical costs, lost wages, pain, and suffering. Call our Georgia personal injury law firm today to schedule a free consultation at 404-898-2913 or request your appointment online.